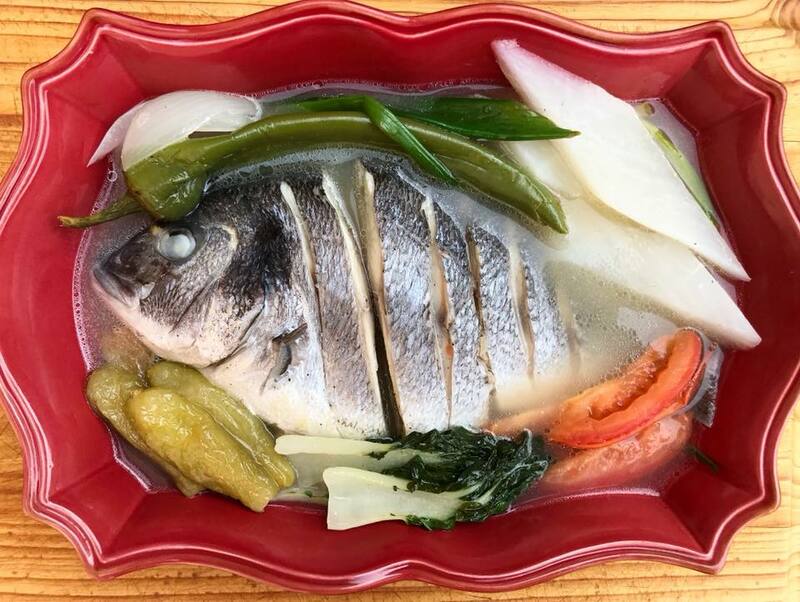 Fish Sinigang sa Kamias is a delicious easy to make Filipino dish. Preparation is similar to the traditional sinigang. This recipe is lighter in taste as I used kamias also known as bilimbi and lemon juice. While I was doing my weekend Asian grocery run I saw this European Bass fish. It look so fresh and a bit pricy but I was craving for a good fish soup. I was thinking of sinigang but something lighter in taste so why not grab some frozen kamias also known as bilimbi and lemon to go with it. Fresh Kamias is not available here in my location in the US but frozen kamias is. Next time you are in an Filipino/Asian grocery store, check out the frozen aisle section. You will be surprise what you can find there, I did. Boil water in a large pot. Once water starts to boil add siling haba, onion and tomato. If you are using fresh kamias then this is the time to add it too. Cover and cook for about 5 minutes. 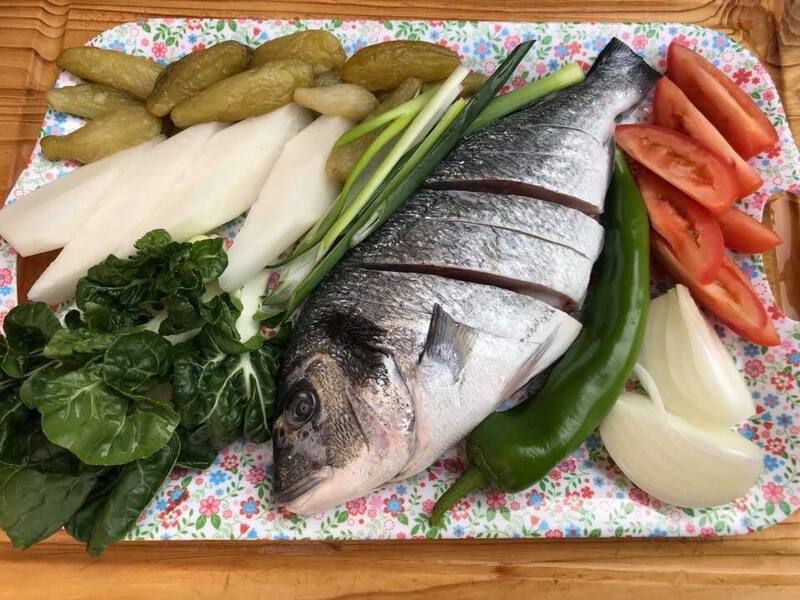 Add fish, cover and cook for 5 minutes or until fish is fully cooked. Add lemon juice and salt if needed. Add pechay. Cover and turn off the heat. Let the remaining heat cook the leaves for few minutes. Remove pot from heat, transfer in a serving bowl and serve hot. Enjoy. Best when served with fish sauce on the side for dipping fish and vegetables.